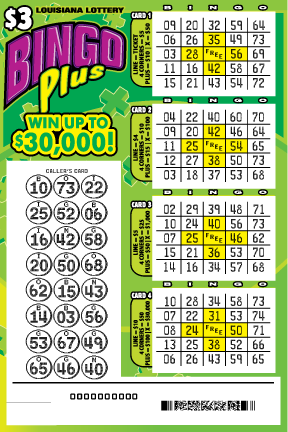 Scratch the "Caller's Card" area to reveal 24 BINGO numbers. 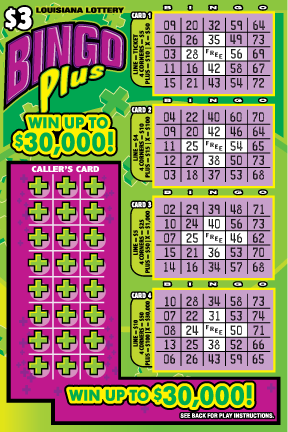 Scratch the corresponding numbers on each of the 4 play cards. If on any one of the CARDS 1-4 you match all numbers is one complete horizontal, vertical or diagonal line; or four corners; or a PLUS pattern; or an "X" (includes eight numbers + "FREE"), you win prize in the prize legend corresponding to that card. 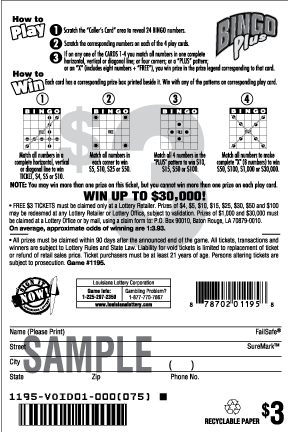 NOTE: You may win more than one prize on this ticket, but you cannot win more than one prize on each play card.